Beggars All: Reformation And Apologetics: What about the Canon? What about Bob? and "feelings of Nostalgia"
What about the Canon? What about Bob? and "feelings of Nostalgia"
This is the combination of two older posts, with additional comments. (and a 3rd link to Michael Horton's article) This is also where I made some comments about my friend Rod Bennett and his book Four Witnesses and his struggles with doubt about church history, the canon, which interpretation, which church is right, etc. He went through the same kinds of doubts and skepticism that John Henry Cardinal Newman, Scott Hahn, Chesterton, Peter Kreeft and pretty much all former Protestants who have crossed the Tiber and become Roman Catholic have gone through. In a way, this could be "Review of Rod Bennett's book, Four Witnesses, Part 3". "1. What about the Canon? What about Bob?" In the "What about the Canon?" article, this was also a good summary of the issues. Though I don't agree with some of what he writes at his blog, on this issue of Sola Scriptura and the canon and uncertainty, C. Michael Patton wrote an excellent article on Sola Scriptura and the Canon here a while back, with a classic picture of Bill Murray from the movie, "What about Bob?" This part of C. Michael Patton's article was especially good in shooting down the typical Roman Catholic method of trying to sow doubt and confusion into the mind of sensitive Protestants who also enjoy church history, who take seriously the Biblical doctrine of the church; and who take historical theology seriously. I am not saying that all Roman Catholics are mentally ill; but I am just agreeing that that kind of skepticism leads to such instability that it leads people astray from the truth, and it could possibly lead to mental illness. The same argument can be made about uncertainty about the canon and interpretation of Scripture. Concerning the search for "feelings of Nostagia", I wrote these comments, with some updated editing. nostalgia - 1. A bittersweet longing for things, persons, or situations of the past. Scott and Kimberly Hahn - "Rome, Sweet Home" - you can feel the longing for nostalgia here. Interesting that that cradle Roman Catholic that John Bugay cited looks at all the nostalgia and Newman methods as a negative thing; and he doesn’t sound too sure or positive about pope Pius IX. But also, they seem to long for perfection here on earth – for example - the dissillusionment with pastors and churches and disunity in history and denominations comes from this root of longing for perfection here on earth, which is delusional. Tim Staples also reflects this "nostalgia" and said similar things about a living voice that can walk into the room and solve disunity problems, in his debates and discussions with James White on the Bible Answer Man program and in debates - he has the same nostalgia. Rod Bennett's uncertainty about the right interpretation and disillusionment over disunity in Protestantism reminded me of what C. Micheal Patton wrote about the radical skepticism of doubting everything and obsession to know for sure, to require infallible certainty; and the illustration from the movie, “What About Bob?”, with Bill Murray. The picture of Bill Murray from the movie is worth a thousand words. "What if your interpretation is not right?" " How do you know for sure you have the right books or the right interpretation?" "How do you know for sure you are in the right church?" It is all based on epistemology and the search for knowing for sure. Somehow, the pope and infallible church claim gives them comfort. It is a false assurance. It is the nature of epistemology and "how do you know what you know?" that is the Roman Catholic apologetic tactic. The Roman Catholics, especially the former Protestant like the Called to Communion folks, are just using a very clever tool in their churches' apologetic kit. It is what happened to Newman; it is Descartes methodology in RCC terminology and dressed up in Cardinal's clothes, so to speak. NASB says "so that you might know the exact truth about the things you have been taught." Roman Catholics will say "you only have a "fair amount of certainty". I disagree. It is rather the highest amount of certainty that God expects from humans who will be reading His God-breathed Scriptures. There are many other passages - John 20:30-31 "these have been written that you may know". God never expects us humans to have "infallible certainty" in our feelings or souls, etc. That category of "infallibility" is not even within our subjective feelings and knowledge. Rather, we have reasonable and sufficient certainty by reading the Scriptures and by the power of the Holy Spirit communicating that assurance to us. With the clear teaching of Scripture, I don't understand the creation of another level of extra-certainty, which is superfluous of the whole infallible RC church/magisterium/pope/ etc. We have all the certainty that God requires. And in fact, because of the mistakes and the errors and the false doctrines that have been added to the Scriptures (Marian dogmas, penance, treasury of merit, indulgences, purgatory, NT priests, Apocryphal books, prayers for the dead, alms giving and good works as required conditions for salvation; infant baptismal regeneration, transubstantiation and bowing down to the consecrated host of bread and wine; praying to statues and icons; having other mediators beyond the one mediator (contradiction to 1 Tim. 2:5 ) - these things actually take away confidence and assurance and certainty and create a trust in man-made traditions. So, the Roman Catholic "certainty" is not a certainty at all for me, even though it claims "infallible certainty", it does not inspire a stronger certainty at all for me. "Just because there is a possibility that we are wrong (being fallible), does not mean that it is a probability." The problem is that one is not warranted in putting the assent of faith into proclaimed and admitted opinions. Articles of faith are divinely revealed - they are infallible by definition. Something offered as just "probable opinion" does not warrant faith - to put faith into such a thing is sheer fideism. "The smoke screen of epistemological certainty that seems to be provided by having a living infallible authority (Magisterium) disappears when we realize that we all start with fallibility." Obviously everyone is fallible. The problem is when you apply this (or Geisler's) reasoning to someone in the NT assenting to Christ/Apostle's claims. They were fallible, but after submitting, they had certainty in doctrine and were warranted in assenting to Christ/Apostle's continued teachings and interpretations - those teachings were not being offered to people just as plausible opinion, but as divinely revealed grounded by the divine authority Christ/Apostles claimed. "Therefore, any belief in an infallible living authority could be wrong." True. The issue is does a body making claims to recognize/define articles of faith by divine authority warrant my assent of faith? Yes. Ones that make no such claim (and actively reject it) do not. Crazy Dave on the street corner might make similar claims as Rome and EO, so they are all plausible candidates to consider. But then I would have to evaluate their credibility before submitting. Just as Christ made claims to divine authority/infallibility as well but also had evidences for his credibility - faith works with reason. Protestantism does not get out of the gate as a plausible candidate to consider by its own principles - it refuses to make any claims that would make it such. "unless I am convinced by the Scriptures or evident reason"
Faith in the word of God is a spiritual activity. God the Father, the Son, and the Holy Spirit opens the heart and mind. after submitting to Christ through His word, yes, there is assurance and peace and sufficient certainty. We don't need the priest to wave his hand and say in Latin, "Te absolv-o (that was the only way I could get the auto-spell correct to stop correcting it). We don't need a Pope or bishop of Rome or prayers to Mary or dead saints, or a suppossed unity, etc. to give us "extra feelings of assurance". We have the Scriptures, reason, and the aggregate ebb and flow of history and the history of theology and interpretations and the Holy Spirit; along with secondary teachers/elders/pastors in Biblical churches. The issue is does a body making claims to recognize/define articles of faith by divine authority warrant my assent of faith? No; because it is an empty and arrogant claim and it is not true. The refusal to make such a claim is actually good reason to trust it more; although never perfect by no means. Because when leaders have recognition of human weakness and fallibility is more credible than the arrogant claims of Rome. Lord Acton was correct to disagree with Pope Pius IX - "Power tends to corrupt and absolute power tends to corrupt absolutely." arrogant claim and it is not true." Which a Jew could just as easily have said to Christ's claims. If Rome's claims were true, of course she would need to make these types of "arrogant claims". To not do so would invalidate her. If all religious truths reduces to probable/confident opinion, we're stuck in sheer fideism, or you reduce articles of faith to natural knowledge and we become stark rationalists. "The refusal to make such a claim is actually good reason to trust it more." I have no reason to trust it in matters of supernatural revelation if it refuses any authority/ability to identify such based on its own principles. What you're proposing means a person in the NT would be more justified and warranted in assenting to some random Jew claiming no authority and just offering self-admitted plausible interpretations of the OT, rather than assenting to the claims of Christ/Apostles. But Jesus is not arrogant because He is God and His statements are in inspired Scripture and He also proved His character and love and holiness by his humility in allowing sinful men to crucify Him. But Rome is not arrogant because she is the true church founded by Christ. I don't think I convinced you. And I don't think you convinced a 2nd-century Jew with that statement. Further you just said quite a few things that are just your admitted opinions. Why should I believe those specific (and no other) writings are inspired and inerrant? A liberal Protestant who does not believe in inerrancy is not violating Protestantism's principles by doing so. Everything - including the extent of the canon and disputed passages contained therein - is ever-provisional opinion by your own principles - semper reformanda. That's the problem. Admitted probable opinion does not and cannot justify articles of faith nor warrant the assent of faith. The Roman Catholic Church is not the church that Jesus founded. It did not even exist until arguably after the 600s - even Gregory 1 said that John of Constantinople could not claim to be "universal bishop" - Gregory never claimed it for himself even. 1215 - 4th Lateran Council / Pope Innocent III, and the doctrine of Transubstantiation - many argue that is the true date of the beginning of the Roman church. it certainly did not exist in the first 500 years. "catholic" = Universal yes, but Roman Catholic, no. "semper reformanda" was never meant to destroy the faith, like Liberalism does. Obviously it only meant to be open to always getting back to the truth of the Scriptures, and if the church has drifted in doctrine and practice, to reform wrong things. like the indulgences and false doctrines that needed to be purged in 1517.
actually, there were probably some 2nd Century or 3rd Century or 5th century or 18th and 19th Century Jews who became Christians. There are many today, the Messianic Jewish movement. The Spirit has to take the message and open the heart and mind. No one is won by pure argumentation of intellectual prowess. The Holy Spirit has to work and cause repentance and faith. Acts 16:14 - The Lord opened the heart of Lydia so that she responded to the things that Paul was preaching.
" . . . and the Lord opened her heart to respond to the things spoken by Paul." Just want to know if Papal elections are infallible. I think the papal election where Peter chose Linus was infallible was it? Cletus Van Damme - interesting that you go by an alias that a character uses in a TV show series. Do you like that TV series "Shield" ? I have never seen any of it; though I have heard of it. Articles of faith are divinely revealed - they are infallible by definition. Doctrines that are actually in the Scriptures; yes. Fideism is what Roman Catholicism seems to be - "believe we are infallible because we say so", etc. Agreed; it if it real faith that is gifted by the Holy Spirit in opening the heart; taking away the heart of stone and giving a soft heart of flesh and causing one to walk in the Lord's statutes. "semper reformanda" was never meant to destroy the faith, like Liberalism does. Obviously it only meant to be open to always getting back to the truth of the Scriptures, and if the church has drifted in doctrine and practice, to reform wrong things." I know it wasn't meant to - but it nevertheless does. If one’s system precludes the ability to distinguish articles of faith from opinion, then one also precludes the ability to identify any proposed authority as having any greater authority than that of plausible opinion. That holds for Scripture as an authority as well as any other proposed authority. Affirming scriptural inerrancy/inspiration just becomes yet another opinion among others, according *to that principle*. That's why Protestants denying inerrancy are not violating your principles. "like the indulgences and false doctrines that needed to be purged in 1517." I understand you think this, but "false doctrines" are just those doctrines you disagree with according to your interpretation of Scripture alone based on your application of GHM alone. "The Holy Spirit has to work and cause repentance and faith." I agree. Faith would not be meritorious if it was rationally necessitated/compelled - it would be reduced to the level of a geometric proof. But faith must be reasonable. "Doctrines that are actually in the Scriptures; yes." See above - you mean doctrines that conform with your current interpretation of Scripture alone. Further is SS a doctrine in Scripture? Is the doctrine that revelation has ended in Scripture? "Fideism is what Roman Catholicism seems to be - "believe we are infallible because we say so", etc." This is not accurate. Fideism is putting faith into something that does not warrant faith - something that is completely irrational. Giving the assent of faith to admitted opinions is irrational. Rome makes a claim. It could be wrong - there are other bodies making similar claims such as the East and Mormons. But all of those bodies have varying degrees of credibility. I hope you would at least agree Rome has more credibility than Crazy Dave on the street corner claiming he's hearing God. So we use reason to evaluate those claims, just as people in the NT used reason in evaluating the credibility of Christ/Apostles. If someone just fell at Christ's feet randomly and started worshipping for no good reason, that would be just as fideistic as someone putting their faith into a random Jew offering opinions on the OT. But reason cannot get you there entirely - faith must work as well. That's why I said earlier Protestantism will fall into the 2 extremes of either fideism or rationalism based on its own principles; RCism navigates a mean between those 2 - faith working with reason. The Shield was a good show, but might be too explicit and gritty for some tastes. 1st season is a chore to get through, but then it gets interesting and the 5th/7th seasons are excellent. Fideism is putting faith into something that does not warrant faith - something that is completely irrational. Giving the assent of faith to admitted opinions is irrational. Like Ignatius Loyola's statement - rule no. 13 for thinking with the Church - "If we say it is black, but your eyes tell you it is white, you must believe it is black." That along with Boniface VIII's Unam Sanctum - 2 ridiculous statements that pretty much sum up the whole Roman Catholic system. those Roman Catholic doctrines and dogmas that Protestants object to are irrational. RCC is Fideism. like Mary perpetual virginity - a clear contradiction to Matthew 1:18, 25 and 13:55-56. Like infallible Pope - totally irrational in light of bishops of Rome Honorius, Liberius, Vigilius, Zosimus, many others. Fideism is blind irrational faith. Reasonable faith does not assent to admitted opinions. Rome could be wrong (there are other candidates making similar claims), but it is not fideistic to believe them, based on her principles. As I said someone who fell to Christ's knees randomly for no reason in the NT is just as fideistic (though they lucked out in being right) as someone who assents to an NT Jew giving opinions about OT. That's why if I assume Protestantism's principles, and everything is opinion, I'm not warranted in assenting with faith. You may hold to some true doctrines that are *of* faith, but you are not holding them *by* faith - because they are just admitted probable opinions. You again list out some doctrines you disagree with - but that is just based on your own admitted opinion of how you chose to interpret Scripture alone. You are judging RC doctrine by your own self-adduced criteria/principles which assumes precisely what's in dispute. You have not submitted to any authority that can distinguish opinion from revelation, but rather just opinions. One who submitted to Christ/Apostles did not thereafter continually hold their past and future teachings hostile to his own personal interpretation or arbitrary threshold of acceptance before he would submit to them. Those who did, left to their detriment. "However, if something can be shown to be definitively taught in the Bible without questioning, and somebody gives me a theory from natural revelation—that they think is based off of natural revelation—that contradicts the Word of God, I’m going to stand with the Word of God a hundred times out of a hundred. But again I have to repeat, I could have been a mistaken interpreter of the Word of God." Your use of it just shows you refuse to submit to an authority that can differentiate opinion from articles of faith. You will hold things ever-hostage to your interpretation and arbitrary threshold - that's not submission to an authority and leads to fideism or rationalism. Ok, so no one is answering my question about papal elections and infallibility. Looks like Papal elections are not infallible according to apologists on CAF and St Benedict Centre. Have they got it correct? The dilemma they had was that here the people had more discernment than the magisterium, for "all counted John, that he was a prophet indeed." And so the question must be asked, why should, 1st c. souls follow a holy man eating insects in the desert and a miracle working itinerant preacher from Galilee, when the magisterium rejected both but whom the Lord reproved from Scripture? 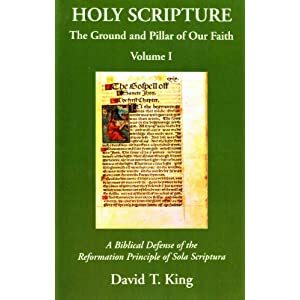 Under the RC model those who are the historical instruments and stewards of Scripture (which Rome claims to be, imagining herself to be the one true 1st c. church) are the infallible authorities on what is of God, thus her judgment on what she rejects or confirms, whether it be writings, traditions or men, must be submitted to by the faithful. However, the very souls which sat in the seat of Moses over Israel - "unto whom were committed the oracles of God, " "to whom pertaineth the adoption, and the glory, and the covenants, and the giving of the law, and the service of God, and the promises; Whose are the fathers, and of whom as concerning the flesh Christ came, who is over all, God blessed for ever. Amen" (Romans 9:4-5) - rejected Christ. For Scripture, is abundantly evidenced to be the supreme material standard for obedience and testing truth claims. And the OT materially provides for recognition of both men and writings of God as Divine (without the necessity of an infallible magisterium), and thus for the NT additions, and ultimately for a canon. Which is indeed the case, as Rome has presumed to infallibly declare she is and will be perpetually infallible whenever she speaks in accordance with her infallibly defined (scope and subject-based) formula, which renders her declaration that she is infallible, to be infallible, as well as all else she accordingly declares. RCs may attempt to provide warrant for taking the fallible leap of faith to submit to Rome as infallible by appealing to Scripture as a simply historical book, (which is fitting since doctrinally it only has authority insofar as Rome defines what it means, she being supreme), but that means using an evangelical means of determining Truth (objective examination of evidence) in order to disallow this means for assurance of Truth by arguing submission to Rome warranted, but which it is not. Thus it necessitates the use of interpretive conclusions of said book which only have authority because Rome says so, such as Christ "established a Church, not a book, to be the foundation of the Christian Faith, as if Mt. 16:18 and 1Tim. 3:15 mean that. "PeacebyJesus" - thank you for the last 2 comments! Exactly. Well written. "Explorer" - I don't know the answer to that (below), if you mean according to RC interpretation or canon law or tradition. What is CAF and St. Benedict Centre ? A Roman Catholic commenter here would have to try and answer your question; I don't know enough about RC canon law or that issue. I know the answer according to realiy; that according to reality, the voting on the Pope is not infallible, because only God, and His written Word is infallible. Fideism is putting faith into something that does not warrant faith - something that is completely irrational. Or does not warrant the degree of faith it requires in the light of its claims. The greater the claim, the greater the warrant is required. God did not call Israel into covenant, nor destroyed the Canaanites (if incomplete) because a man had a dream like Muhammad that he questioned was from a demon. Nor did the Lord call His disciples to preach the gospel because He simply claimed to be the Messiah. The authority of both saw abundant overt supernatural attestation, along with manifest virtue, all of which conformed to what had previously been established as being of God (though this did not prevent some followers from acting like atheists). Yet even they did not claim perpetual assured infallibility of office, but the chief theologian Paul warned the pastors about men arising from among them after his death, who would teach perverse things (foretelling Rome, etc.). However, Rome calls souls to render a implicit submission to her while coming far short of the apostles, and much contrary to them. And in which assurance of doctrine does not rest upon Scriptural substantiation, but on the unwarranted premise of her perpetual assured (if conditional) infallibility. Thus as Keating states regarding there strictly being zero proof from Scripture for the Assumption, "The mere fact that the Church teaches the doctrine of the Assumption as definitely true is a guarantee that it is true.” — Karl Keating, Catholicism and Fundamentalism (San Francisco: Ignatius, 1988), p. 275. “He is as sure of a truth when declared by the Catholic Church as he would be if he saw Jesus Christ standing before him and heard Him declaring it with His Own Divine lips.” - Henry G. Graham, "What Faith Really Means"
"semper reformanda" was never meant to destroy the faith, like Liberalism does. The reality is that even without a centralized universal magisterium - which i actually see should be a goal to deal with basic issues as in the NT, though the unity of the NT under which was relative to the manifest authority of the apostles, in contrast to Rome - yet the modern evangelical movement arose due to a strong shared contention for core truths, against liberal revisionism. And even today in its compromised state, "evangelicals" are substantially more unified in basic view and truths than the majority of those whom Rome overall treats as members in life and in death. And while evangelical types can formally separate from those who overall are liberal, RCs cannot without being in sects or schism, and their own main Bible teaches liberal revisionism. Those who join her are blinded to the light. "PeacebyJesus" - that is good information on the Roman Catholic New American Bible. I didn't know that. Excellent. Thanks for that link. "What is CAF and St. Benedict Centre ?" St Benedict Centre= A traditionalist organisation who accept post-Vatican II popes but reject the "modernism" found in Vatican II. They are not recognised by Rome. I will add that in addition to the above, some major theologians also seemed to indicate Papal elections are not infallible. Bellarmine and other theologians have written about the possibility of heretics/females being elected and whether such would remain pope. "Your use of it just shows you refuse to submit to an authority that can differentiate opinion from articles of faith. You will hold things ever-hostage to your interpretation and arbitrary threshold - that's not submission to an authority and leads to fideism or rationalism." "You again list out some doctrines you disagree with - but that is just based on your own admitted opinion of how you chose to interpret the data for the claims of Rome. You are judging protestant doctrines by your own self-adduced criteria/principles which assumes precisely what's in dispute. You have not submitted to any authority but your own fallible opinion that Rome is what she claims to be. You can't distinguish opinion from revelation, but rather just blindly elevated your opinions on Rome's claim as if it is revelation." Truly one must believe what Christ says in Scripture. What he said we listen and process and believe even if it is contrary to our known beliefs and systems. What is dangerous is when one can't identify what Christ says in Scripture over what Rome says as mere opinion of men. For when one elevates Rome as if it Scripture, then one has finally lost the ability to distinguish what is opinion from revelation. For, in this worldview, Rome now becomes the ultimate grid of revelation defininf and interpreting Scripture and therefore not subject to correction. We know what happens when an organization sets herself up as if she is equal with Scripture. Opinions of men becomes divine revelation. It can not reform itself from error and therefore with glaringly anti Scriptural doctines such as purgatory, indulgences, the cult of Mary, and merit theology, many souls have been misled and go to hell. The words above are not politically correct and offensive. But this has to be the tone when eternal destinies are at stake. Note that as stated on the page, there are revised versions of the Bible texts, but i saw some of the same notes on the NABRE online (Amazon). Then you have RCAs telling how Catholics take Scripture literally. I like whatever blog host the White Horse In uses where i posted in response to the article you linked to. For it enables pop up viewing of Bible texts in the responses. "However, in order for you to accept the claims of Rome, you have to fallibly interpret the data by your own grid." Everyone uses private judgment in submitting. That's never been in question. The question is the nature and claims of the object being submitted to - i.e. what changes, if anything, after that submission. "Rome only has power over your belief system because by you gave her the authority to be your own infallible guide." Apply that logic to an NT Jew submitting to Christ and the Apostles. "In other words, for your worldview to work, you have to borrow from our worldview. And since, you borrow our worldview, inadvertently you shoot your own worldview down." That does not follow at all from anything you said. Unless you are mixed up on the private judgment thing. "Truly one must believe what Christ says in Scripture. What he said we listen and process and believe even if it is contrary to our known beliefs and systems." You mean you process and believe only tentatively - because all Scriptural interpretation is self-admitted reformable opinion by your own principles. "For when one elevates Rome as if it Scripture, then one has finally lost the ability to distinguish what is opinion from revelation. For, in this worldview, Rome now becomes the ultimate grid of revelation defininf and interpreting Scripture and therefore not subject to correction." If Rome's claims are true, then of course her dogmas could not be subject to correction. Rome is not elevated as if it is Scripture - it is part of a triad of mutually interdepentent and attesting authorities. And it's coherent in identifying/defining revelation and articles of faith, according to its own principles. Protestantism is not, according to its own principles. "We know what happens when an organization sets herself up as if she is equal with Scripture. Opinions of men becomes divine revelation." How do you distinguish divine revelation from probable opinion according to your principles? Semper reformanda shoots itself in the foot every time.